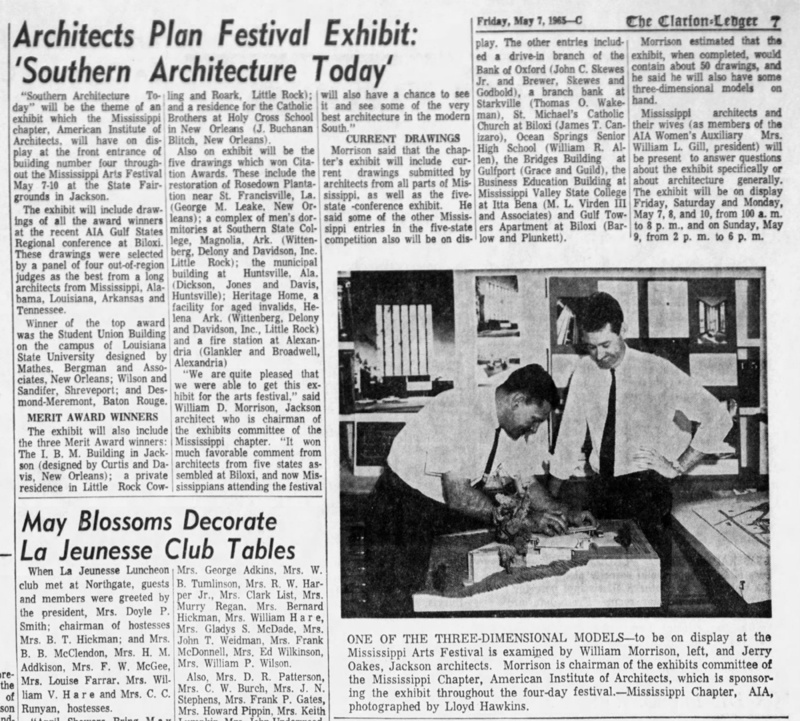 Cruising around the 1965 Clarion-Ledger, I came across this article that I thought was too good not to share, not only because of the information in the text about the state of Mississippi (and Louisiana and Arkansas) architecture in 1965, but also for a rare photograph of Mississippi architects at work, in this case William Morrison and Jerry Oakes of Jackson, putting the finishing touches on an unidentified model for the exhibit “Southern Architecture Today” at the state fairgrounds. I’ve taken the liberty of adding photos of those Mississippi buildings identified in the article (that I have photos for). “Southern Architecture Today” will be the theme of an exhibit which the Mississippi chapter, American Institute of Architects, will have on display at the front entrance of building number four throughout the Mississippi Arts Festival, May 7-10 at the State Fairgrounds in Jackson. The exhibit will include drawings of all the award winners at the recent AIA Gulf States Regional conference at Biloxi. These drawings were selected by a panel of our out-of-region judges as the best from a long [list of] architects from Mississippi, Alabama, Louisiana, Arkansas and Tennessee. Winner of the top award was the Student Union Building on the campus of Louisiana State University designed by Matthes, Bergman and Associates, New Orleans; Wilson and Sandifer, Shreveport; and Desmond-Meremont, Baton Rouge. The exhibit will also include the three Merit Award winners: The I.B.M. 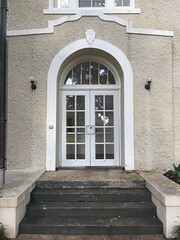 Building in Jackson (designed by Curtis and Davis, New Orleans); a private residence in Little Rock (Cowling and Roark, Little Rock); and a residence for the Catholic Brothers at Holy Cross School in New Orleans (J. Buchanan Blitch, New Orleans). Also on exhibit will be the five drawings which won Citation Awards. 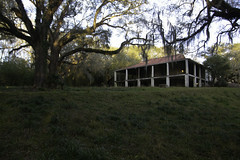 These include the restoration of Rosedown Plantation near St. Francisville, La. (George M. Leake, New Orleans); a complex of men’s dormitories at Souther State College, Magnolia, Ark. (Wittenberg, Delony and Davidson, Inc., Little Rock); the municipal building at Huntsville, Ala. (Dickson, Jones and Davis, Huntsville); Heritage Home, a facility for aged invalids, Helena, Ark. (Wittenberg, Delony and Davidson, Inc., Little Rock) and a fire station at Alendaria, La. (Glanker and Broadwell, Alexandria). Morrison said that the chapter’s exhibit will include current drawings submitted by architects from all parts of Mississippi, as well as the five-state-conference exhibit. He said some of the other Mississippi entries in the five-state competition also will be on display. 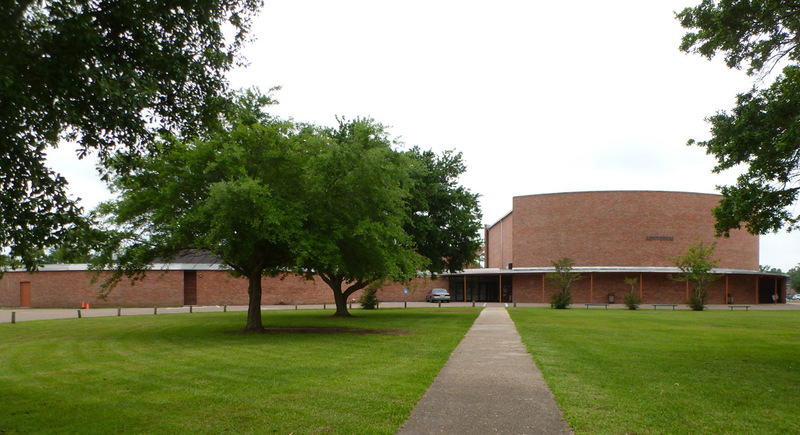 The other entries included a drive-in branch of the Bank of Oxford (John C. Skewes, Jr., and Brewer, Skewes and Godbold), a branch bank at Starkville (Thomas O. Wakeman), St. Michael’s Catholic Church at Biloxi (James T. Canizaro), Ocean Springs Senior High School (William R. Allen), the Bridges Building at Gulfport (Grace and Guild), the Business Education Building at Mississippi Valley State College at Itta Bena (M.L. 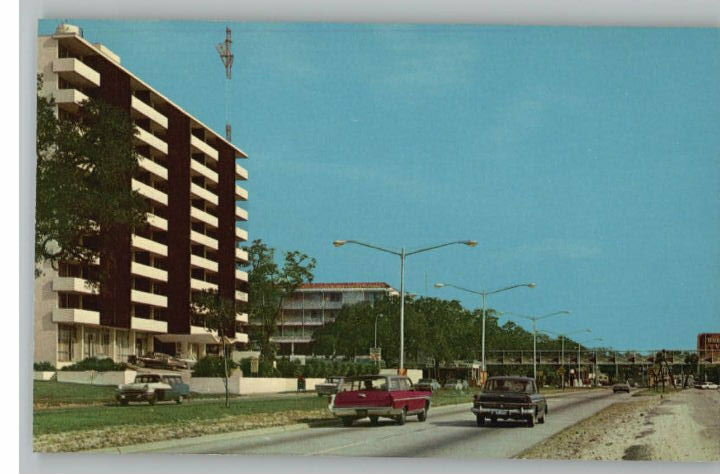 Virden III and Associates) and Gulf Towers Apartments at Biloxi (Barlow and Plunkett). Morrison estimated that the exhibit, when completed, would contain about 50 drawings, and he said he will also have some three-dimensional models on hand. 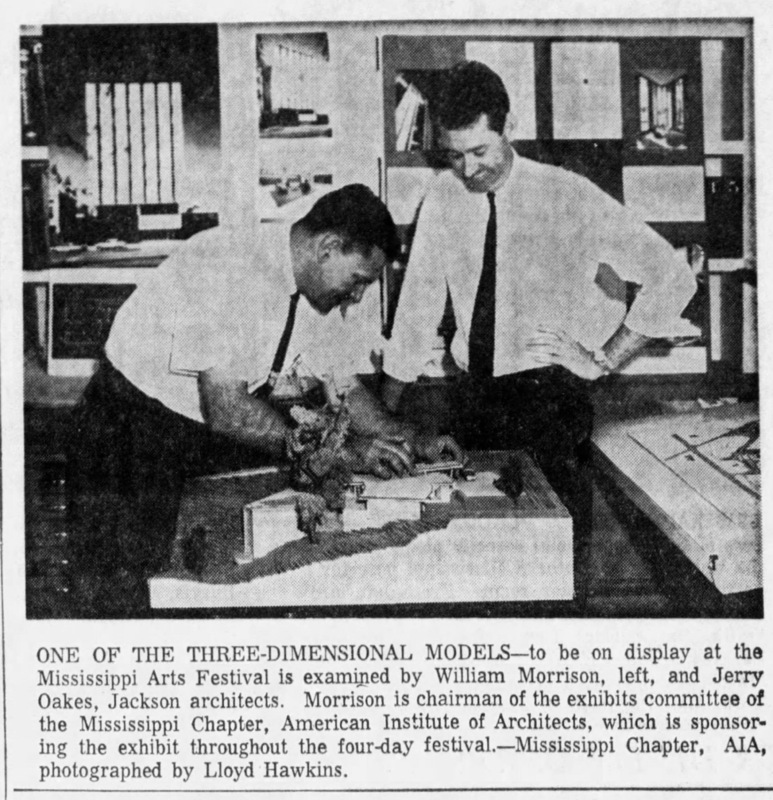 Mississippi architects and their wives (as members of the AIA Women’s Auxiliary, Mrs. William L. Gill, president) will be present to answer questions about the exhibit specifically or about architecture generally. 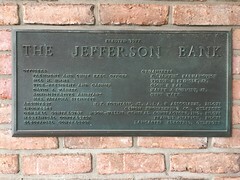 The exhibit will be on display Friday, Saturday, and Monday, May 7, 8. and 10, from 10 a.m. to 8 p.m., and on Sunday, May 9, from 2 p.m. to 6 p.m.
Notice that the prominent photo to the left on the wall behind the architects is the former First Federal Bank building (now Bancorp South) in downtown Jackson, across the street from the Old Capitol. 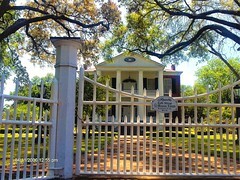 This building was published in the first issue of Mississippi Architect. Can you identify any other buildings in the photo above? Need more 60s mod in your life? 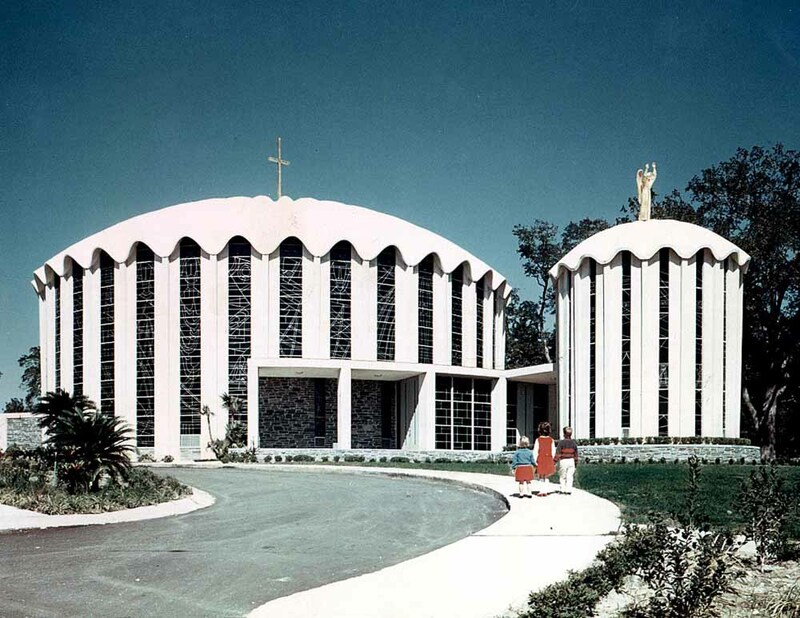 Mississippi Architect, April 1964: Say No To Historicism! thanks for this: many familiar names and places! i did note an error in the description of one of the ‘citation award’ winners–the article stated, ‘george m leaker, new orleans’ and it should be ‘george m leake’. i was slightly acquainted with him and was/am certainly familiar with his work at ‘rosedown’. strangely, when i went online just now to see if i could find an obituary for mr leake, it didn’t appear ‘easily’ and i gave up. at the top, under his name, there was the obit of his wife, catherine, who died in 2015, as a widow. 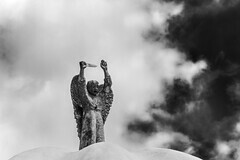 from another source, i discovered that mr leake was perhaps born about 1919 and, possibly, died in 1995. maybe some of our more intrepid readers will be able to find his obit–think it would be interesting since i suspect he did work in ms during his career. also, Thomas O. Wakeman, not Wakerman, of Starkville. Thanks! I corrected both typos. Didn’t know where to post this good news. After 60 years hidden by that sheriff’s annex facade, the Tatum’s Methodist Episcopal Hospital-South shows its face. I had always thought that there was a large circular window on the top floor. My father referred to it as the “operating room” and maternity ward. The Tatum archives lists W. F. Schulz as the architect. 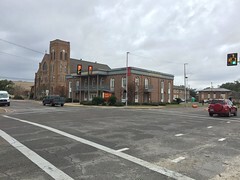 Schulz was the architect on Tatum’s Hotel Hattiesburg and the Saenger theater. A lot of Schulz family names in Wikipedia but they seem to be from the German protectorates of Bohemia and Moravia. The contractor was M. Mobley. I found a M. Mobley in Knoxvlle, Tennessee, which was Tatum’s hometown before he came to South Mississippi.